Ylê de Egbá perform live in Reading. 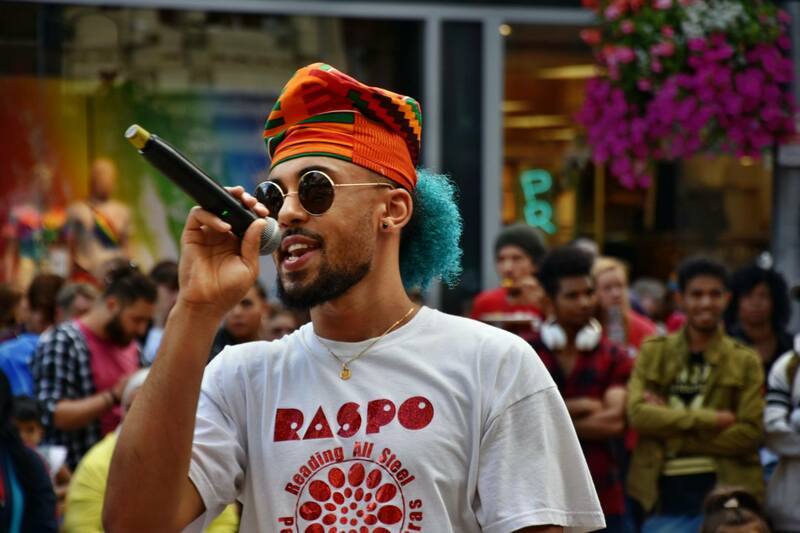 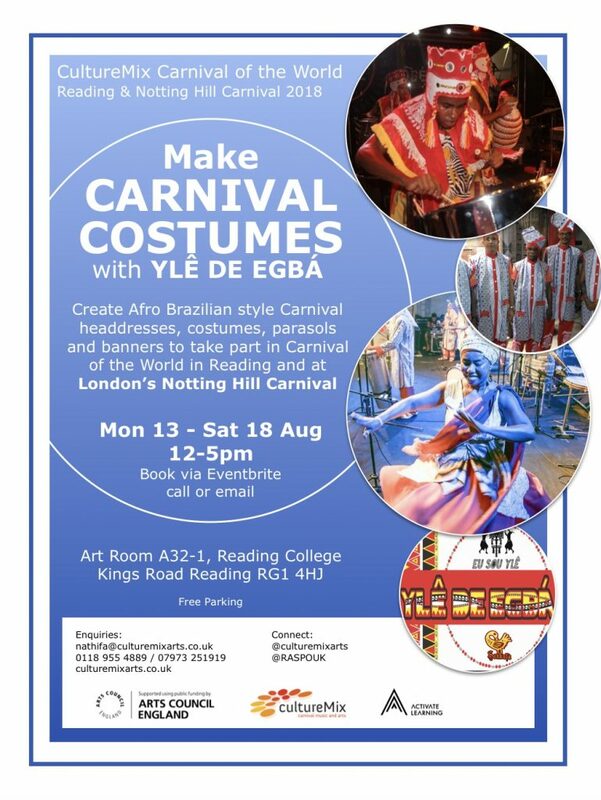 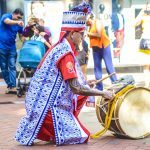 In August 2018 Carnival of the World returned to Reading UK main shopping centre with international Afro-Brazilian guest performers Ylê De Egbá from Pernambuco. 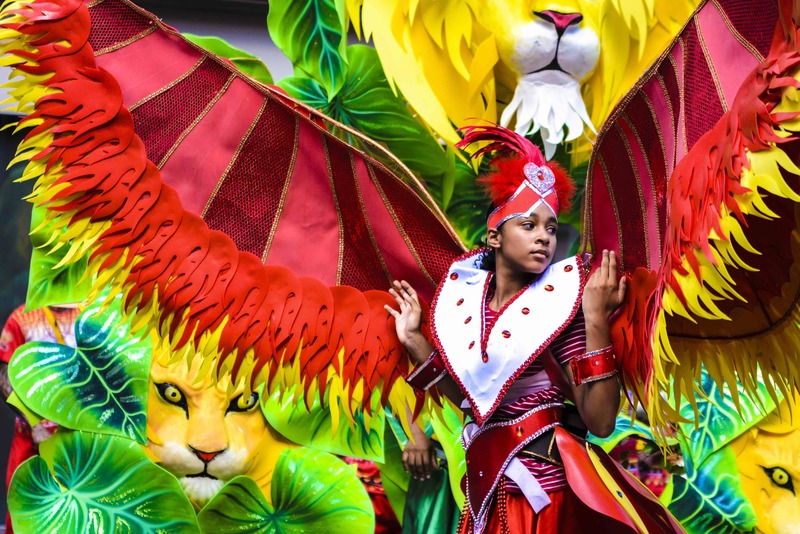 The event set up in 2016 and now an annual event celebrates diversity and is a showcase for carnival music, dance and arts at a free outdoor event with a live stage and the Broad Street Parade of costumed masqueraders, percussionists and drummers, flags, banners and parasols. The 2018 event launched in April with free music workshops with RASPO. 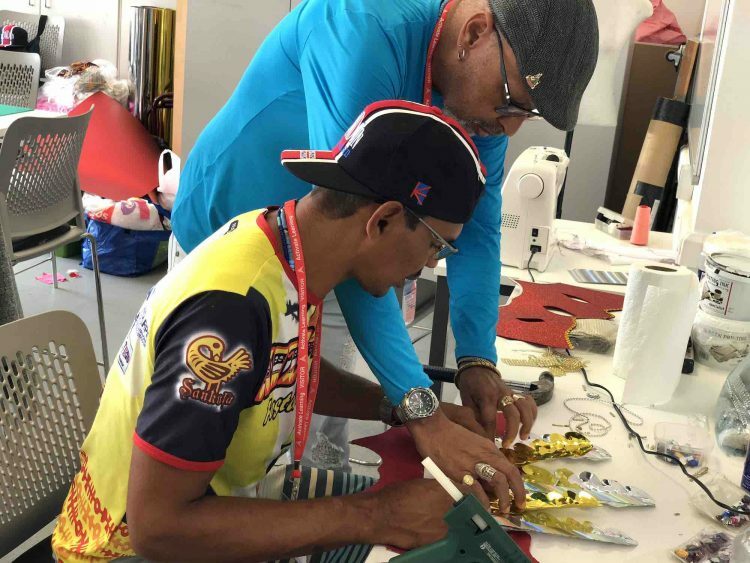 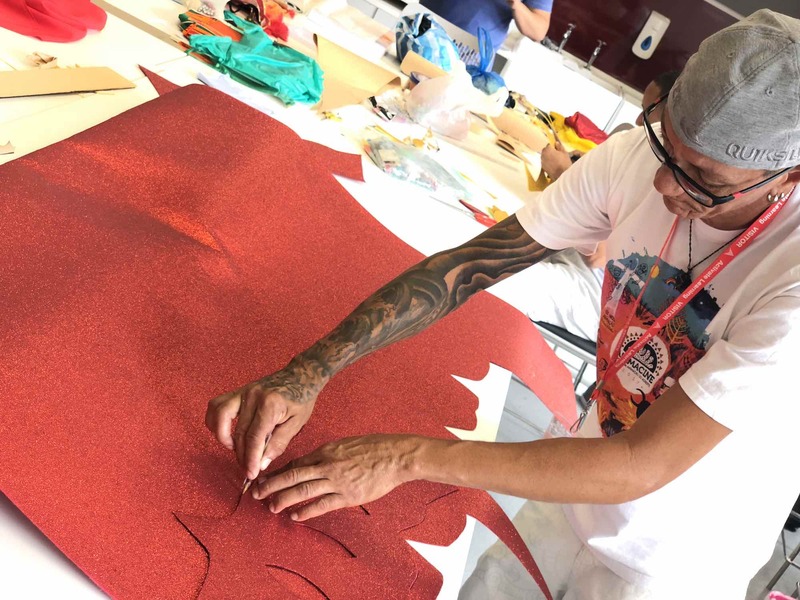 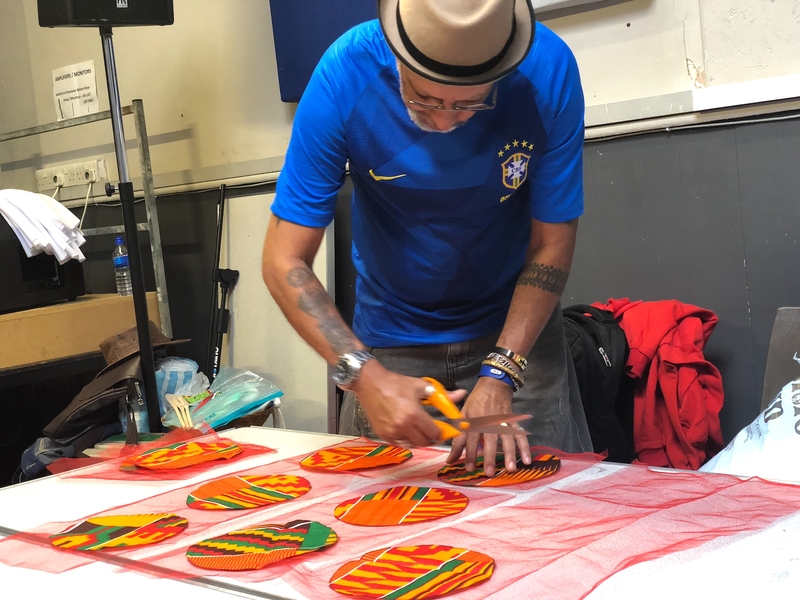 In August specialist workshops took place at Reading College with Ylê De Egbá to create flags, parasols, carnival costumes and head dresses. The highlight workshops were the well attended Afro Brazilian percussion workshops. 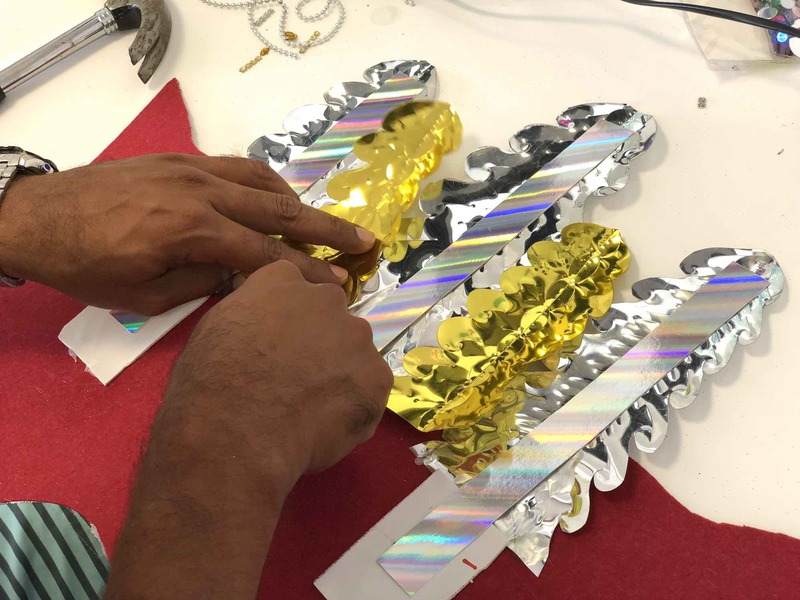 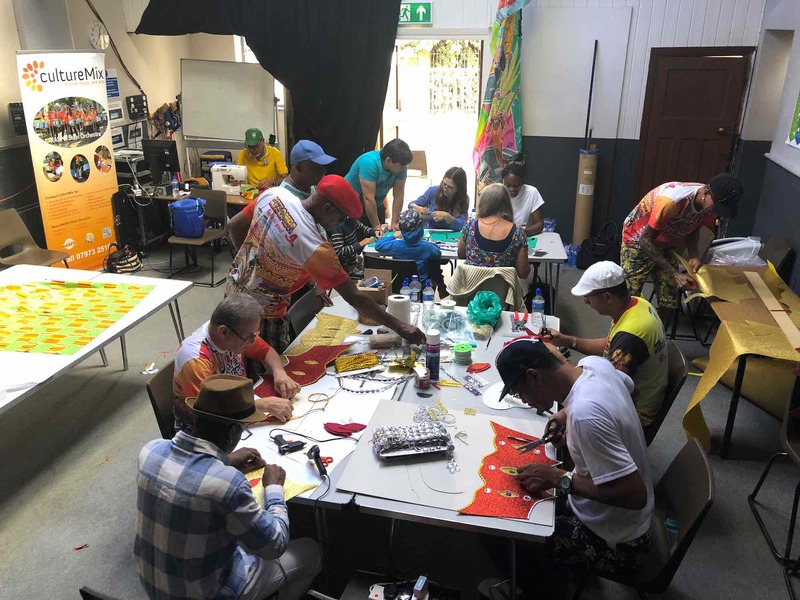 All workshops were in preparation of the Reading Broad Street Parade and the London Notting Hill Carnival float procession during August Bank Holiday. More on Ylê De Egbá here. 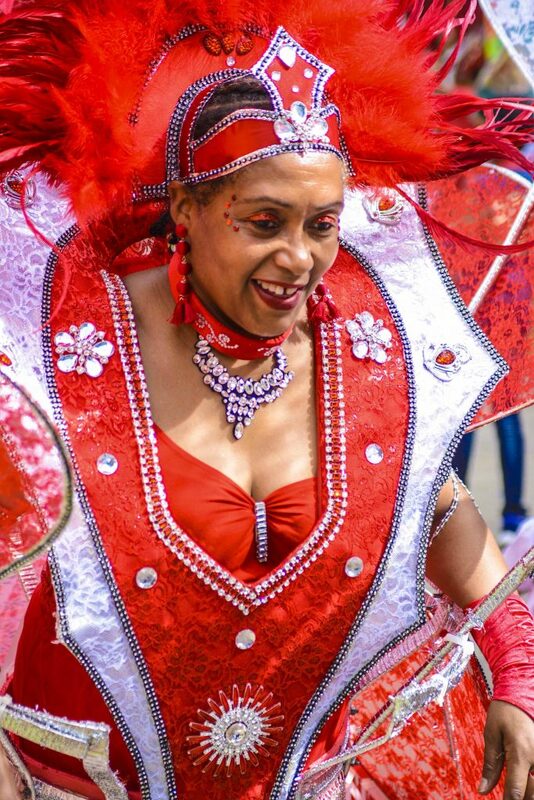 See more about Carnival of the World at London Notting Hill Carnival here. 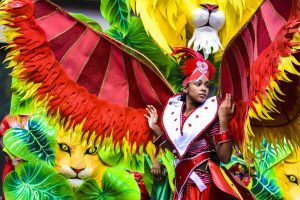 CultureMix Carnival of the World is an annual international event showcasing performances from the best diverse world artists in Reading and at London Notting Hill Carnival. 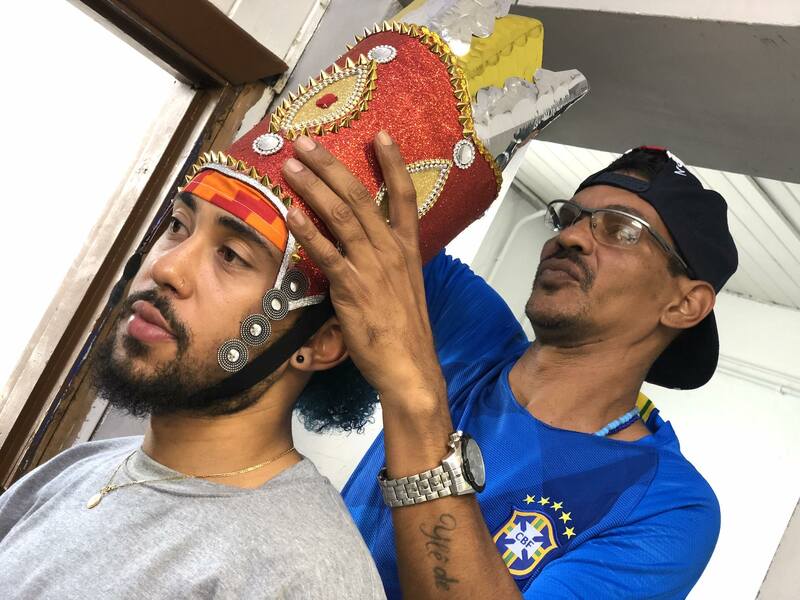 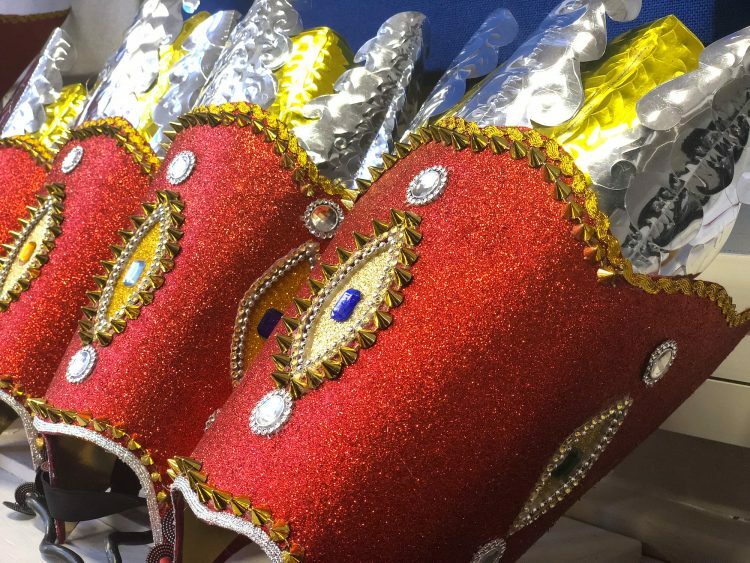 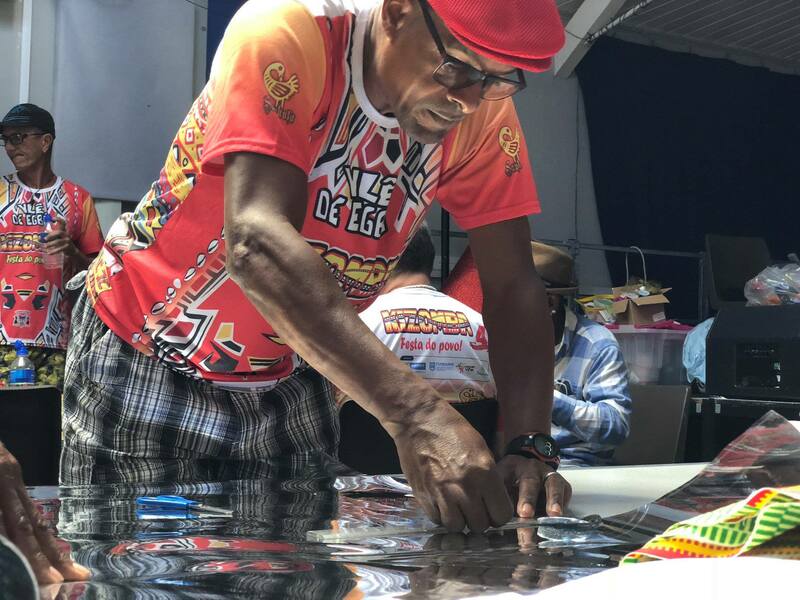 The event runs throughout the summer with free high quality workshops in costume, headdresses, flag and banner making, dance, percussion and music with RASPO Steel Orchestra. 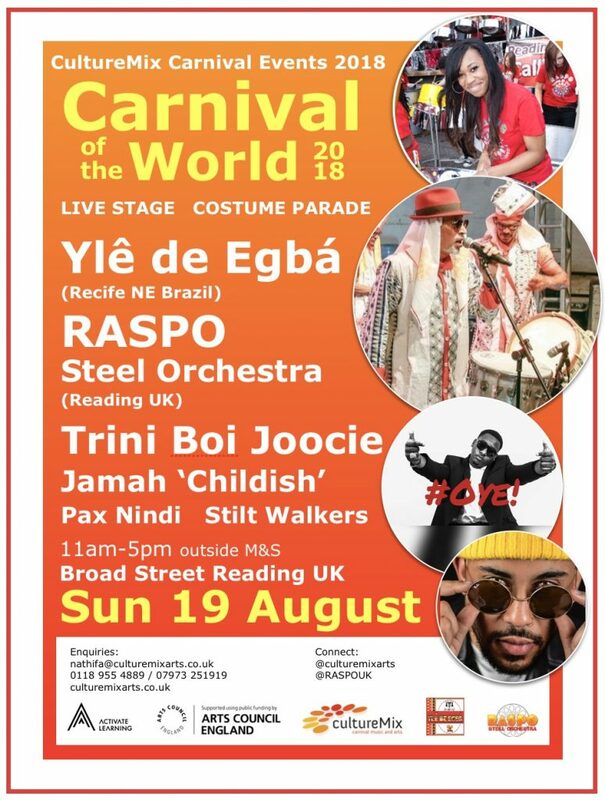 CultureMix Carnival of the World proudly presents a programme of international artists for the Live Stage in Reading UK. 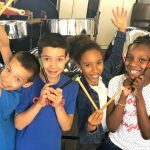 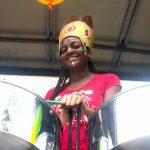 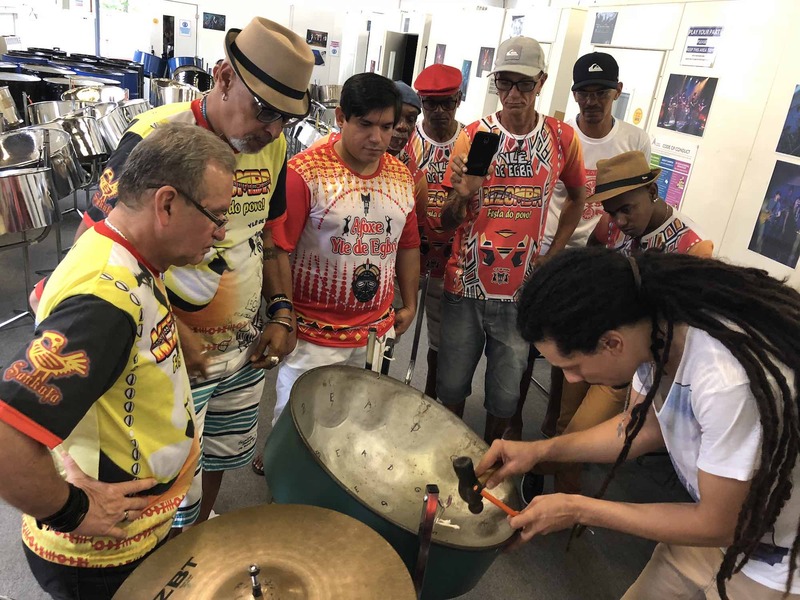 Jamah Childish and Trini Boi Joocie joined Reading All Steel Percussion Orchestra and Ylê De Egbá for a live showcase performance before the Broad Street Parade. 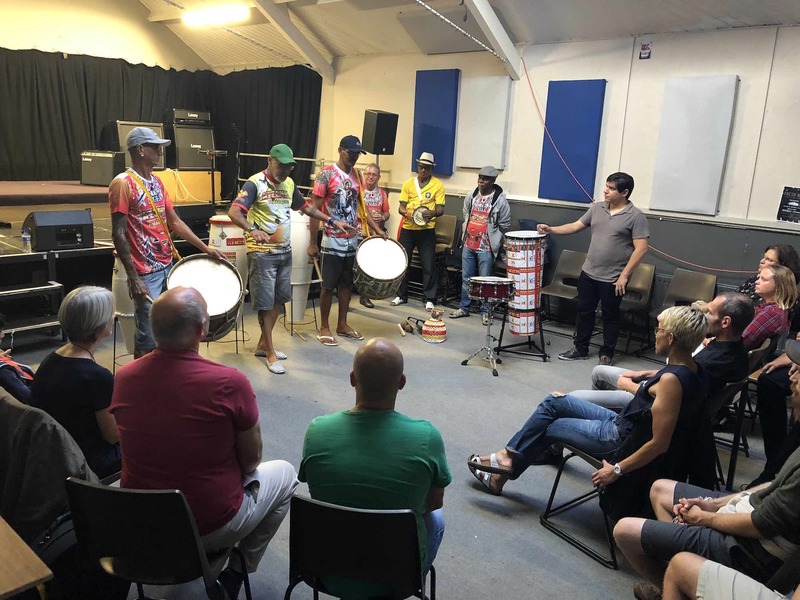 CultureMix Arts hosted an international collaboration between England and Brazil with guest Afro Brazilian percussionists Ylê de Egbá who arrived in Reading at the beginning of August to work with RASPO Steel Orchestra to create an original musical arrangement. 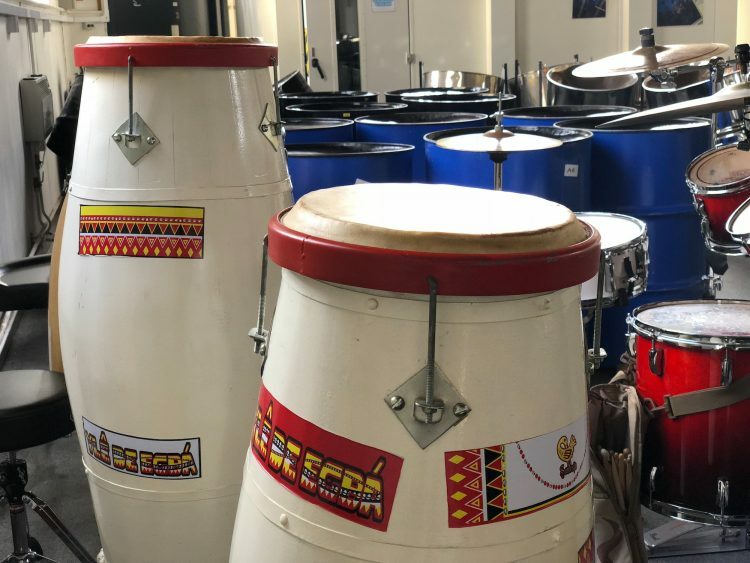 Costumes and head dresses were made for the forty piece orchestra and members of Ylê de Egbá ran percussion workshops using atabaques, alfaias, quico and xequere to demonstrate typical Afoxé rhythms originating from Nigeria via African slaves to Brazil. 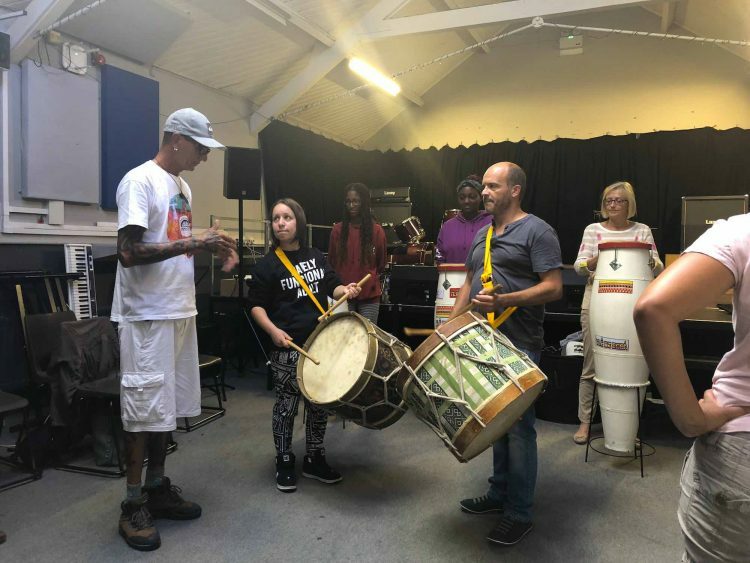 The collaboration was a triumph with appearances on BBC and ITV television and radio, and live performances in Reading and London.